Locally Owned and Serving the Bay Area for 35+ Years! From the diagnostic of tree problems, to pruning, cabling and bracing, tree removal, stump grinding and planting of new trees, Traverso Tree Service, Inc is here for all of your tree care needs. 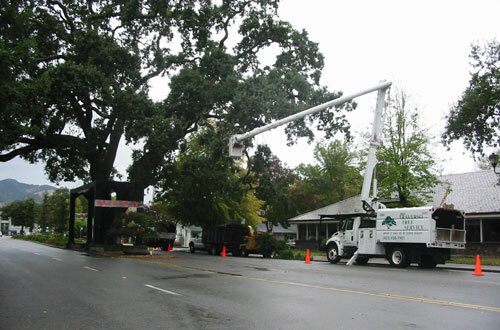 Our estimates are free and given by a Certified Arborist. We are licensed contractors with the State of California (Lic #416924), fully insured for both property and personal liability and carry worker’s compensation on all our employees. We have been a Better Business Bureau accredited business since 1992. We provide free estimates for all of our services. We have smaller stump grinders that can fit through a typical back yard gate. We also have a hand held stump grinder that can get to those tough access stumps located in tight areas.